I have been a fan of Harley Quinn since I saw this scary Batman cartoon Batman Beyond: Return of the Joker. I just realized how old I was when it came out and I should not have been as freaked out as I was, but damn Mark Hammill voices a scary Joker. Anyway, Harley Quinn is awesome so when I saw this broach at Fan Expo a few years ago I just had to have it. I also got a cute one of Chi from Chobits. I also love these tights, zebra print is one of my favourites (if you hadn't noticed already I own a lot of black and white clothes). I would like to share a few of my favourite shots from my trip last week with you here. 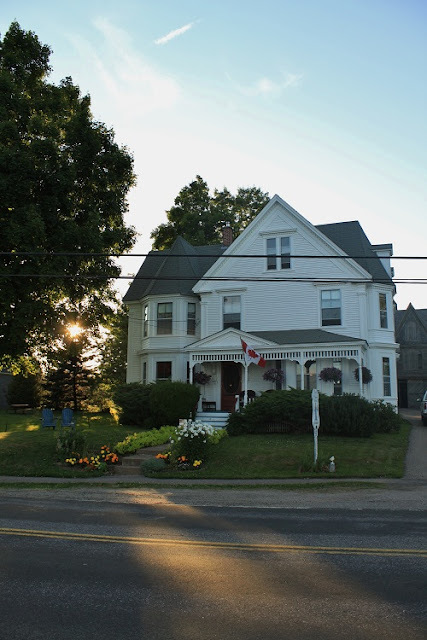 The first set is from where I stayed on the first night in, A Seafaring Maiden, in Granville Ferry NS. I will share some more pictures from Digby in my next post. Until then, enjoy! Wow Hope, I wish I got to travel to all of those beautiful places. Lucky girl! It is pretty sweet. Apparently the MMCs were also jealous of the last guy who interned in the fall. Only 4 weeks left!